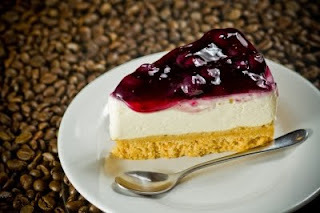 July 30th is National Cheesecake Day! Not that I'm a huge dessert eater, just ask my friends, but I do enjoy some of the simple desserts such as sorbets, key lime pie, chocolate mousse, and cheesecake. During college, my friends and I would go to the Marina Del Rey Cheesecake Factory and sit on the deck, order our nachos, potato skins, and then some outrageous cheesecake for dessert. One of my favorites is Eli's Cheesecake in Chicago. I would always try to stop in or get one to bring home, loved their kiosk at O'Hare, sometimes I would forget to get one. BTW, "Eli's The Place for Steak" is one of my favorite Chicago steak restaurants. July is National Hot Dog Month! What's a good hot dog without a great mustard? Pass the Mustard, Let's Eat! 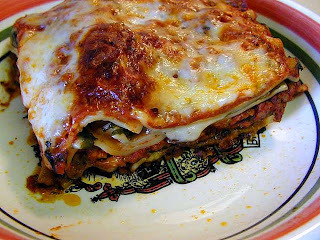 July 29th is National Lasagna Day! Today is July 28th and National Milk Chocolate Day! My all time favorite is the Hawaiian Honey-Coated Whole Macadamias in Premium Milk Chocolate from Hawaiian Host. 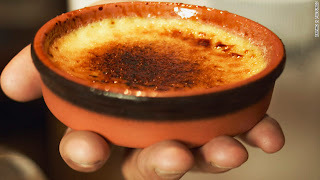 July 27th is National Crème Brûlée Day! I don't say this often, but this is one of my favorite desserts. Who doesn't like to crack that caramel layer on top? Crème Brûlée is traditionally a vanilla custard, but sometimes flavored with a fruit zest, chocolate, coffee, or other fruit. It's topped with burnt sugar, which caramelizes and give it that hard caramel crust. The caramel can be formed by sprinkling sugar on top of the custard, then placing in the broiler or using a kitchen torch to caramelize the sugar, this is the fun part. Today is the Last Fryday of July 2011! I have a couple of favorite places for French Fries, one of them being Wing Stop. Although not always consistent, I do like the seasoning that they use on them. My other favorite place is In-N-Out, I think it's because I've been going since high school and more of a package deal. Love a Double Double with fries and a lemonade, although it's pink. I went to a food show with a client once, he was looking for a new frozen French Fries. We must have tried about 20 frozen and fresh cut, after awhile they all tasted the same. What it came down to was the seasoning they were using, which is one reason why I like Wing Stop. I try not to eat much fried foods, but try and do are two different things... LOL! 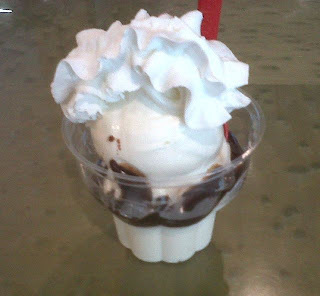 July 25th is National Hot Fudge Sundae Day! Shouldn't this be on Sunday? The classic hot fudge sundae is usually vanilla ice cream, served with a hot chocolate sauce, whipped cream, nuts, and a single maraschino cherry on top. Last weekend people in Los Angeles left town or stayed home due to Carmageddon. I headed back to the Westside for another morning meeting, but this time so were a lot of people. Guess it's back to an hour, doesn't really matter where you go in Los Angeles. 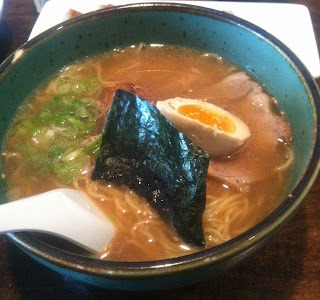 Before we ordered, Keizo mentioned that Zenya's specialty is the Tonkotsu Ramen, the pork broth soup base. After the server took our drink order, we were told that they have no more Tonkotsu. WTH? It's 1:30 pm on a Saturday. I could understand if it was 10 pm on a Saturday, but lunch? You could already tell that I'm not a happy camper, nor a Shio Ramen fan. They only have two types of ramen broth on the menu and their specialty was SOLD OUT. Since my first choice was unavailable, I opted for the half order Shio and small order of the Zenya tonkatsu over rice. It's that time of the week again...Ramen Monday! Had to head down to San Diego to take care of some business and a lunch meeting at Tajima. Some may think I was avoiding Carmageddon - Day 2, but I did have some business in SD. Hidden between car dealerships and Korean restaurants, this restaurant is tucked away at the end of a strip mall. Before heading down to SD, I checked my buddy's website on Tajima. His recommendation was to stick with the shoyu ramen, which was better than the tonkotsu one. I took his advice and ordered the Original Tajima Ramen with the soy sauce base and thin noodles, other choice is a thicker noodle. Thanks Keizo! Didn't stay in LA today, went to San Diego! Day 2 of Carmageddon in Los Angeles and I headed South to San Diego. Not just to escape, but to visit some friends and eat. Entering San Diego County 9:20 AM Where's the traffic? 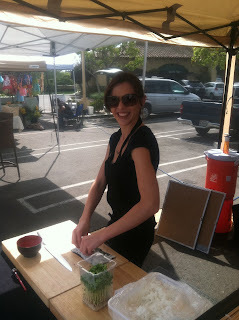 My first stop was to see my friend, mentee, and fellow sushi chef, Kate Murray at the Rancho Santa Fe Farmer's Market. It's been awhile since I've tasted her sushi creations and promised that I would, today was the day. On Sunday, I headed toward San Diego to take care of some business and to eat some good food. My first stop was to see "Miss Sushi" at the Rancho Santa Fe Farmers Market. I've know Kate for a few years now. I've watched her learn sushi, visited her at restaurants, and now running her own business. Kate working on sushi orders for hungry customers in line. Kate suggested I try the Red Head roll. Nice contrast, good flavor, and a menu recommendation. Where do you celebrate Carmageddon? 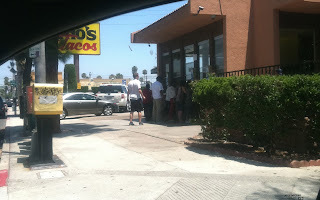 If you've been here, have you ever seen the line this short on a Saturday at 1 pm? As I was driving by, I knew I had to have Tito's today. I went inside and there was no line. I've been coming here for years and if they're open, there's always long lines. But today, THERE WAS NO LINE. My friend Stuart says he always gets the enchiladas and I don't remember ever having one. So, today was the day. You get a good amount of beef and cheese, but I like a zestier sauce.